Despite the fact that the Federal Housing Finance Agency, the organization that held mortgages on about 258,000 properties in Chicago, is exempt from the registration requirement, the amendment has resulted in an increase of over 2,100 buildings registered as vacant with the city, most of which are in lower-income neighborhoods and communities of color. Overall, the city’s website lists 18,170 properties as vacant, 85 percent of which are in low- or moderate-income and majority minority census tracts, an indication of the impact of the disinvestment and population loss that have negatively affected parts of the city for many years. Requiring mortgagees to register vacant properties is a good first step in addressing the problems that vacant properties can cause, and the city should now look for additional ways to find out where vacant buildings are because they represent a threat to public safety and a drain on the city’s fiscal resources. The city currently has a mechanism that allows residents to report vacant buildings, through 311 calls, and those calls account for 21.6 percent of properties on the website. The city should publicize that option widely, including to community-based organizations, and especially to organizations that are providing counseling services to homeowners who are in foreclosure or at-risk of foreclosure. 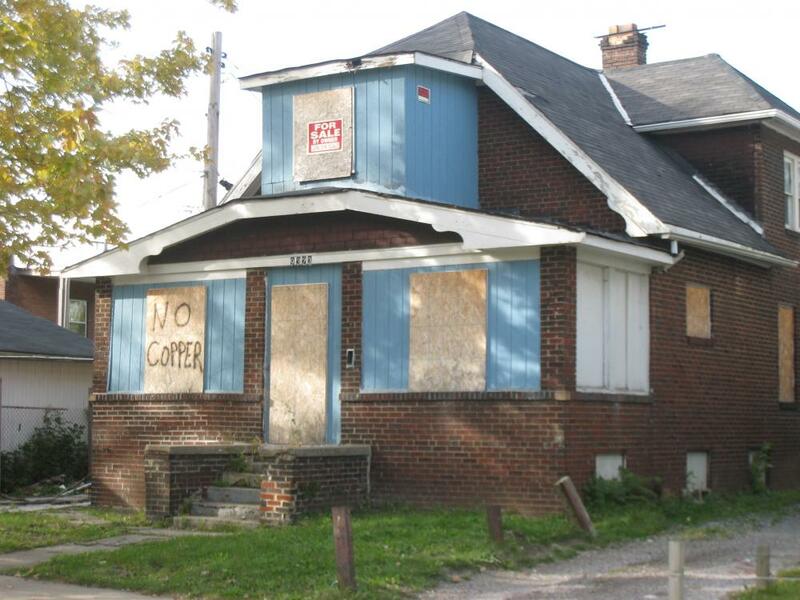 The city might also consider providing an incentive to report vacant properties, perhaps by using some of the fines and registration fees imposed on mortgagees who failed to register properties, to those organizations. Vacant buildings bring down the value of nearby properties and can become blighted, vandalized, and havens for criminal activity. The more the city and its residents know about the extent of vacancies and their location, the more likely it is that they will be able to respond appropriately and effectively to mitigate the harms that they can cause.